The Jolley's Journey: Look what the cat drug in!!!! This little guy got lost and somehow ended up at our front door. 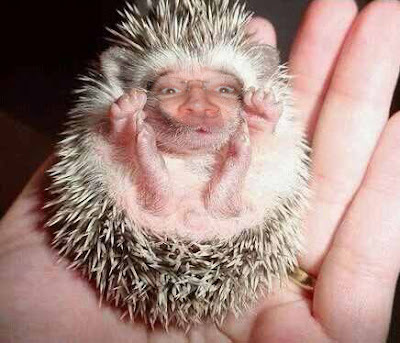 I looked it up and I found that this is the Farticus Matticus Hedgehogicous from Mexico. It sure is a strange looking thing, but I keep it around to make the babies cry.